A sharp spike in vaping and the use of e-cigarettes by students in the midcoast, and throughout the nation has grabbed the attention of parents, schools, media, and the FDA. The rapid spread of the fad was first flagged in a report from the US Surgeon General in 2016, and now more students than ever are using e-cigarettes. The JUUL vaporizer looks like a slim, rectangle USB flash drive, and it will even charge when plugged in to a laptop computer. It's very small and can be held inside a closed hand. 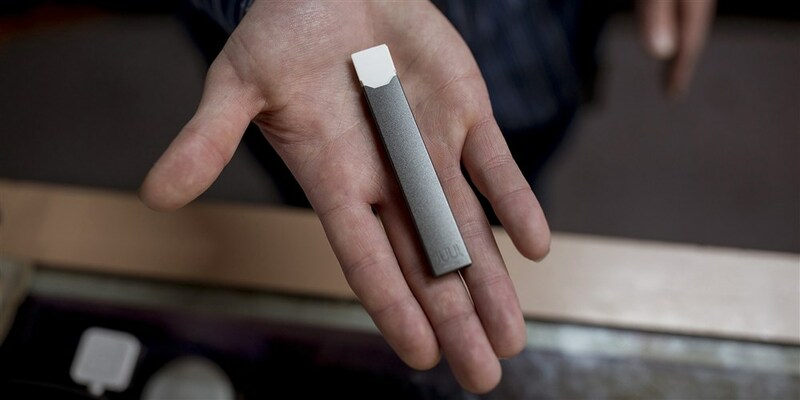 One JUUL "pod" has as much nicotine as a pack of cigarettes, and the company does not sell any zero-nicotine options. Because of the appeal to teens and the amount of nicotine, public health experts are concerned that a whole new generation of young people will become addicted to nicotine, and quickly. Parents, schools, and law enforcement are struggling with how to detect and respond to the product's surge in popularity.